Financial markets tumbled in late 2018. From the start of October all the way to Christmas 2018, the market was ultra-sensitive to headlines, and the news flow skewed sharply bearish. As such, investors sold in bulk. The broader averages lost around 20%. January has been a completely different story. Things got off to a shaky start due to a warning from Apple (NASDAQ:AAPL) regarding slowing growth in emerging markets and specifically in China. But, since then, U.S. economic data has been largely better than expected, multiple Federal Reserve members have sounded dovish tones and progress has been made on trade war talks between the U.S. and China. Net result? It has been up, up and away for stocks in January. Month-to-date, all the major indices are up more than 5%, with the Nasdaq up 7%. If stocks stabilize into the end of the month, that would mean stocks are on track to rise by 80% this year. That would mark the best year for stocks ever. Obviously, that won’t happen. Stocks simply have a lot of momentum right now. That momentum likely won’t persist through all of 2019. Indeed, this situation looks very similar to the one we had last year, when the major indices rallied through their year-end price targets by the end of January. That ended with a big February decline, and led into the worst year for stocks since 2008. Thus, caution is warranted here. It’s especially warranted when it comes to a few names that have had a good start to 2019, but which still have lingering headwinds from 2018. With that in mind, let’s take a look at seven stocks that have big headwinds in 2019. 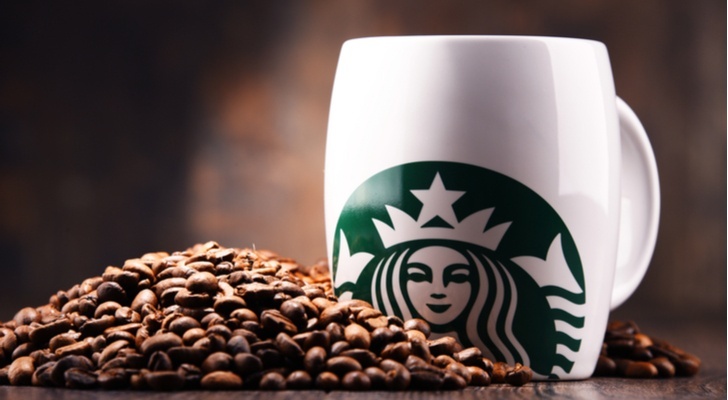 Month-to-date, shares of Starbucks (NASDAQ:SBUX) are up nearly 3%. Although that’s below the market, it’s still good enough for 40%-plus annualized returns, and should be viewed broadly as healthy strength. The problem is that healthy strength in SBUX stock isn’t supported by the fundamentals. More than most companies, Starbucks is exceptionally reliant on and exposed to the Chinese consumer market. That market is slowing, and quickly. GDP growth is at a near 30-year low. Retail sales growth is at a 15-year low. Apple said things aren’t going well over there. Many other companies have reported material China weakness. It’s highly unlikely that Starbucks is bucking the broader slowdown trend over in China. Instead, it’s much more likely that this company reports weak China numbers throughout 2019 so long as China’s consumer market continues to slow. That will ultimately weigh on SBUX stock, and could make 2019 a tough year for the stock. Growth names have made a comeback in 2019. One name that has benefited strongly from this shift back to growth is Wayfair (NYSE:W). Shares of the home goods e-retailer are up 9% month-to-date. The rally makes (some) sense. This stock had been one of the biggest losers during the late 2018 sell-off. Shares fell nearly 50% off their 2018 highs. Thus, it makes sense that Wayfair stock is rebounding with enthusiasm as investors notch up their risk appetites in 2019. The problem here, though, is that not all is clear on the housing market front. December Existing Home Sales dropped to a three-year low, while other leading indicators of the housing market have been flashing warning signals for some time. If the housing market continues to cool in 2019, that should have a negative impact on Wayfair. Wayfair stock isn’t priced for any negative impacts. The company is wildly unprofitable, doesn’t project to be profitable soon, and trades at a price-to-sales multiple above 1. Thus, continued weakness in the housing market should result in weakness in Wayfair stock. One name that hasn’t had a great start to 2019 is Yelp (NASDAQ:YELP). The online reviews platform was hit by a big Morgan Stanley downgrade in early January, and hasn’t made much of a recovery since then. Month-to-date, the stock is up less than 3%. 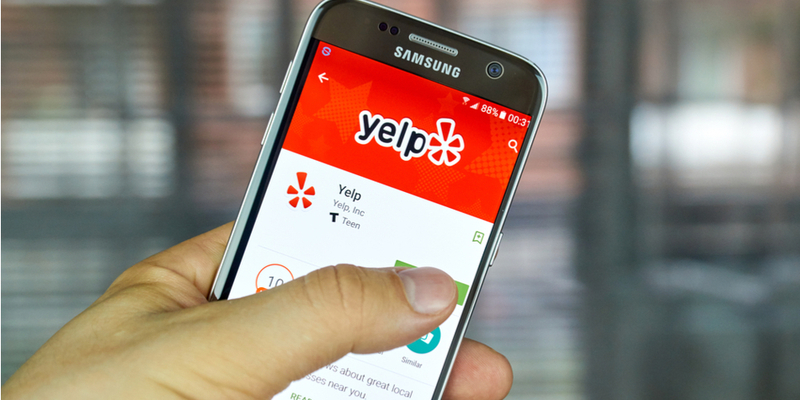 This underperformance in YELP stock should persist. The reality about this company is that it’s moat is relatively small, as everyone from Facebook (NASDAQ:FB) to Alphabet (NASDAQ:GOOG, NASDAQ:GOOGL) to Amazon (NASDAQ:AMZN) is getting into the online reviews game. All those competitors have more scale and more reach, so they could easily make Yelp largely irrelevant to the masses. As a result of these fears, advertisers have largely avoided the platform. Revenue growth has been weaker than expected. Profitability has been unimpressive. The advertiser base is small. Monthly mobile web traffic appears to be maxing out. There are lot of concerns here, and not a lot of solutions at the present moment. As such, Yelp stock will likely remain weaker for longer. Athletic apparel giant Adidas (OTCMKTS:ADDYY) has been one of the biggest winners in early 2019. Month-to-date, shares are up more than 12%, largely due to a strong read from holiday sales and improving sentiment across the whole athletic apparel space. But, the bigger picture trend here remains bearish. In that bigger picture, the three-stripe trend has come and gone. Read this article, and take a look at the attached search interest graph. Global search interest related to Adidas used to be on a solid uptrend. It has been slowing for the past year. Now, it’s gone negative. 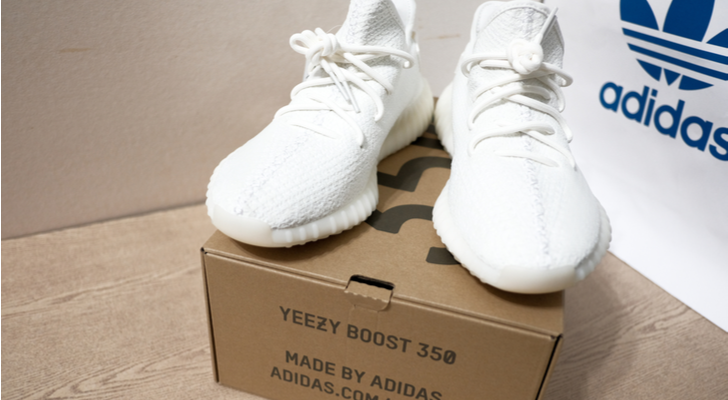 As it has, Adidas’ revenue growth has slowed dramatically. That isn’t a coincidence. The problem here is Nike (NYSE:NKE). The king of the athletic apparel jungle finally woke up, and is now charging full steam ahead with a focus on innovation, go-to-market speed, and global advertising. These initiatives are working for Nike, and are having a negative impact on Adidas. Fashion trends usually take several quarters to play out. As such, it looks like Adidas is stuck on the wrong side of the tracks for several quarters, a reality which will sink ADDYY stock. 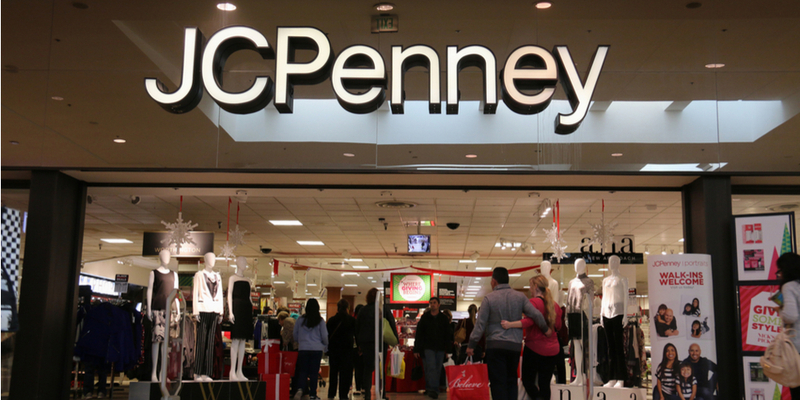 For the past several years, there have been two stocks which have been considered the eyesores of retail: Sears (OTCMKTS:SHLDQ) and J.C. Penney (NYSE:JCP). The first has already declared bankruptcy. The second has been barely fighting off bankruptcy for several quarters. But, investors are apparently applauding its survival, since JCP stock is up nearly 20% in January alone. This is nothing more than a dead cat bounce. JCP is still the weakest player in the retail market. Holiday comparable sales at JC Penney dropped more than 5%, while they rose by essentially 1% or more almost everywhere else. Also, the company is still sitting on a mountain of debt, isn’t profitable, and has cash flow problems. In other words, it’s only a matter of time before JCP joins Sears in the retail graveyard. As such, January’s big rally should be faded, and JCP stock will likely struggle throughout 2019, much like it did in 2017 and 2018. 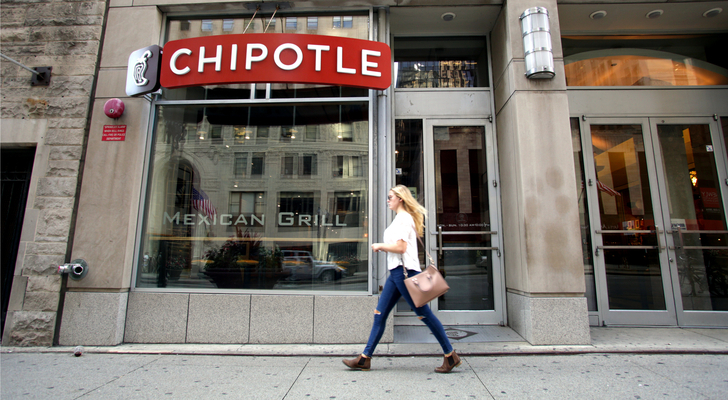 One of January’s biggest winners has been Chipotle (NYSE:CMG). Shares of the fast-casual Mexican eatery have risen more than 20% month-to-date as investors have expressed optimism regarding the 2018 turnaround continuing into 2019. This will happen. Chipotle’s numbers will get better throughout 2019 because the company is back on track. Menu innovations, new marketing campaigns and delivery expansion are all initiatives which should drive healthy comparable sales growth in 2019. But, that growth will be of the lower-margin variety, since new marketing costs money, wages are going up and delivery is a lower-margin business for fast-casual restaurants. As such, while top-line trends should remain healthy for Chipotle in 2019, margin pressures will provide a major headwind. CMG stock can’t withstand that headwind at its current valuation. The stock trades at over 40X forward earnings, essentially double the restaurant industry’s average forward multiple of 22. Thus, if margins do not expand meaningfully in 2019, CMG stock will drop. 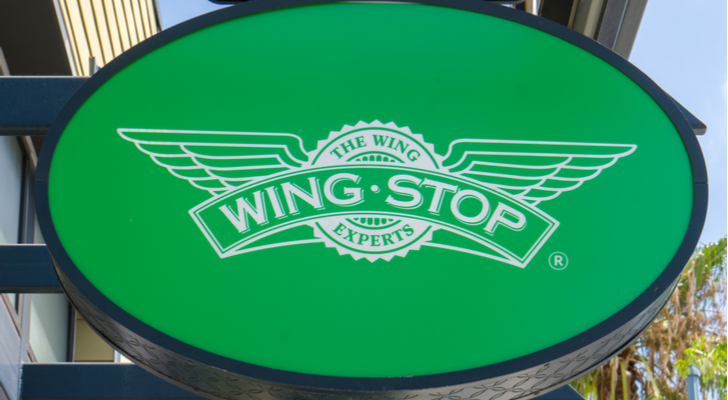 The hottest stock in the fast casual space over the past several years has been Wingstop (NYSE:WING). Investors have rallied behind this idea that Wingstop locations will be everywhere — much like McDonald’s (NYSE:MCD) locations — and that as chicken grows in popularity, Wingstop will turn into a global fast-casual giant. That may happen. But, the price isn’t right for an investment in WING stock today. Over the past twelve months, revenues at Wingstop total just $120 million, while net profits are a meager $30 million. The company has a market cap of over $2 billion. That’s a huge disconnect. A lot has to go right over the next five years in the notoriously fickle fast-casual space in order for WING stock to head even marginally higher during that stretch. The more immediate problem here is that the U.S. economy is slowing. It isn’t dying, but it is slowing. 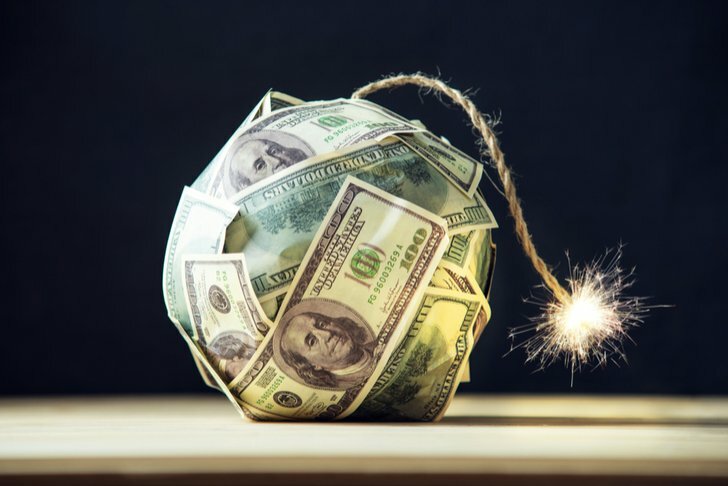 And if the economy continues to slow throughout 2019, investor risk appetites will fall. As they do, richly valued growth stocks are usually the first to get dumped. At 17X trailing sales, WING stock is the archetype of a richly valued growth stock that will get dumped in a risk-off environment. As of this writing, Luke Lango was long AAPL, FB, GOOG, AMZN, and NKE. Article printed from InvestorPlace Media, https://investorplace.com/2019/01/7-stocks-that-have-big-headwinds-in-2019/.